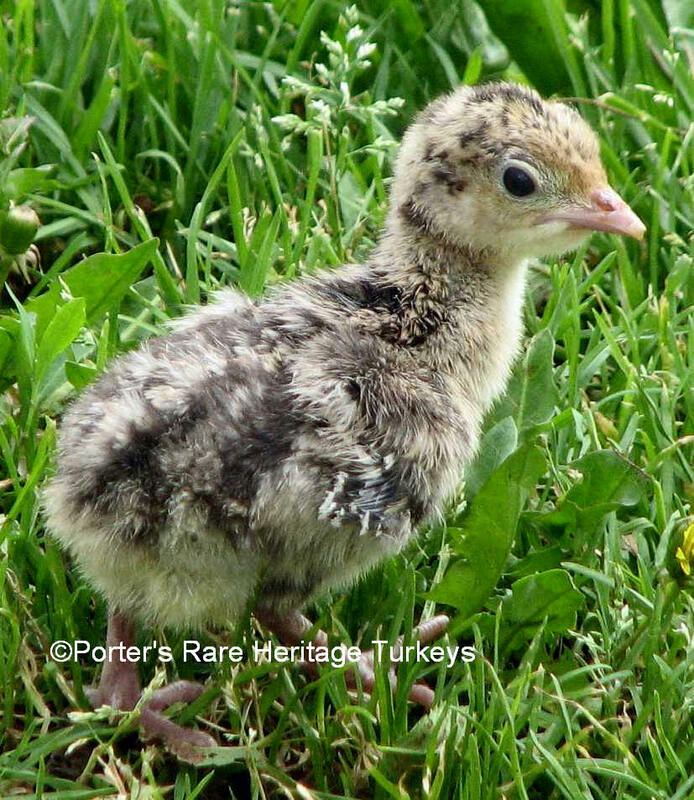 The Narragansett turkey is named for Narragansett Bay in Rhode Island, where the variety was developed. 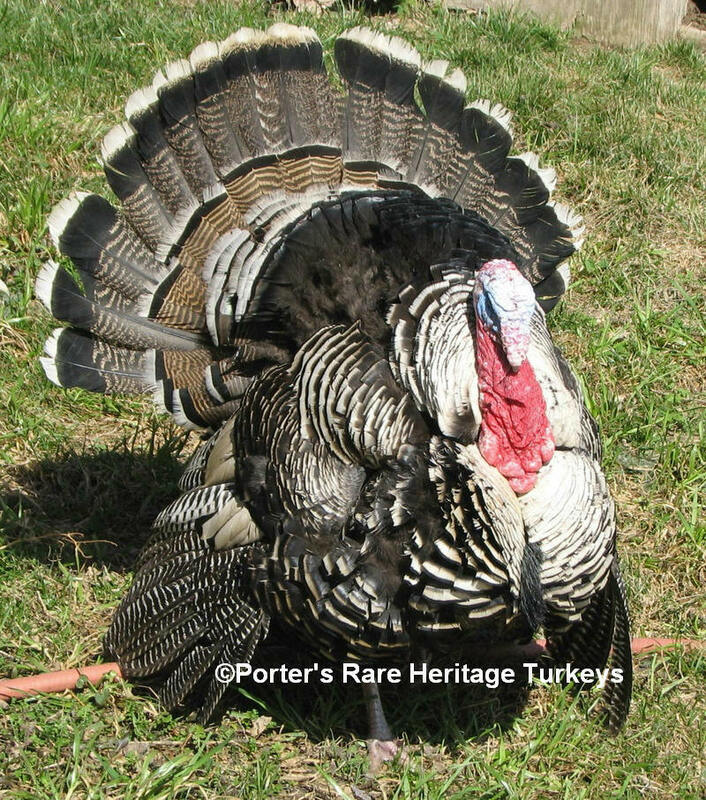 It descends from a cross between native Eastern Wild turkeys and the domestic turkeys (probably Norfolk Blacks) brought to America by English and European colonists beginning in the 1600’s. 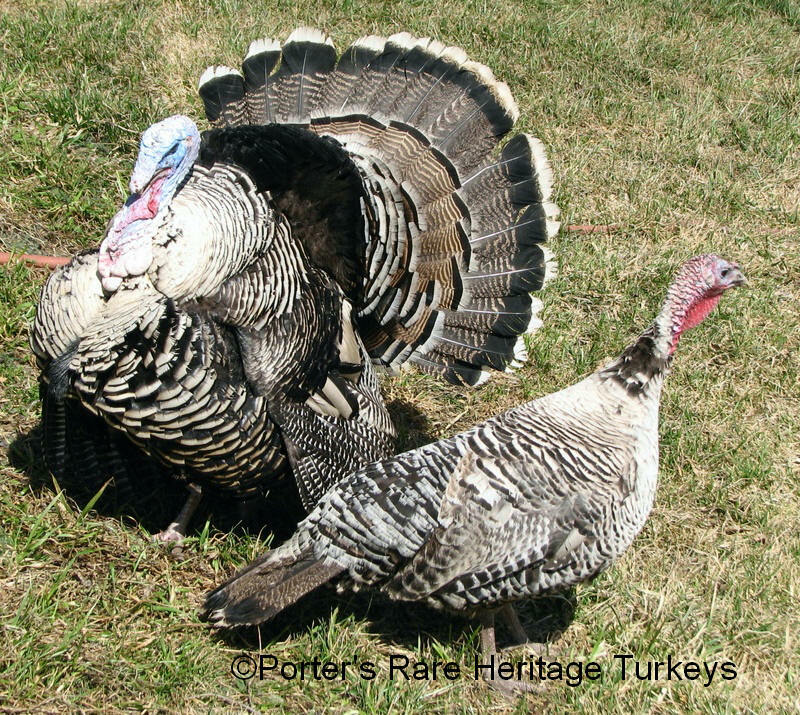 Improved and standardized for production qualities, the Narragansett became the foundation of the turkey industry in New England. Though it was valued across the country, it was especially important in Rhode Island and Connecticut. The American Poultry Association recognized the Narragansett in 1874. The Narragansett color pattern contains black, gray, tan, and white. Its pattern is similar to that of the Bronze, with steel gray or dull black replacing the coppery bronze. This pattern results from a genetic mutation which removes the bronzing coloration. The gene is also sexlinked. Genotype of (bb nn) for toms and (bb n- for hens) which means bronze base with narragansett genes. The poult color/pattern is nearly indistinguishable from the bronze. The Narragansett’s beak is horn colored, its head is red to bluish white and its beard is black. The shanks and feet are salmon colored. Since, however, the Narragansett has not been selected for production attributes, including weight gain, for years, many birds may be smaller than the standard. Careful selection for good health, ability to mate naturally, and production attributes will return this variety to its former stature. Standard weights: 33 lbs. for old toms and 18 lbs. for old hens.